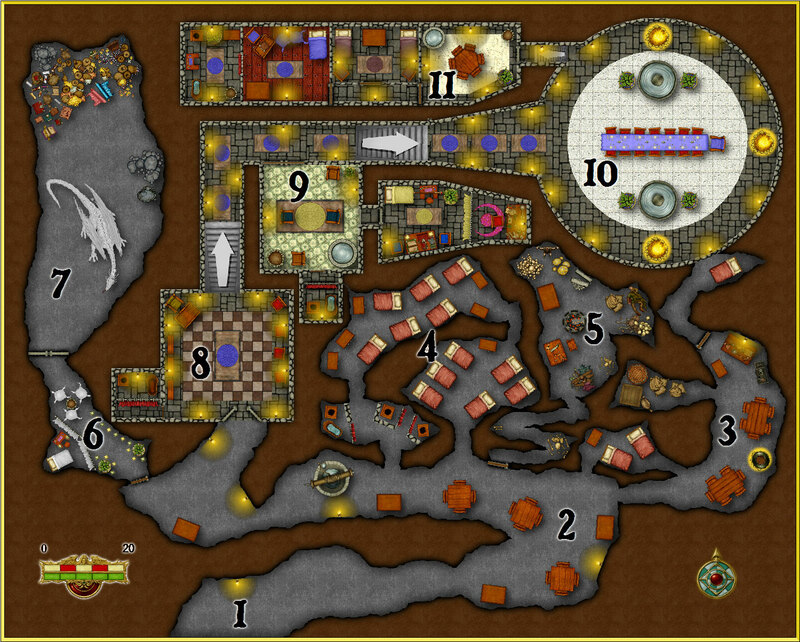 Here’s my first dungeon using Campaign Cartographer’s Dungeon Designer 3. An eccentric master with a passion for unique flooring abides in a stronghold in the side of a mountain. Just found your website and wanted to leave a note of encouragement. As a DM, one of the most time consuming elements of the game is the map making. Sites like yours are a real boon. Thanks for the work. It IS appreciated. Thanks for the encouragement Jonathan. Glad you enjoy the maps. Just stumbled upon your site when browsing through google for “Map maker”. i was really interested as this is the kind of map i wanted to create, and you even provided a link of the software you used. Thanks Wally, I appreciate the positive feedback. After seeing this, I beginn to think about buying this stuff as well. It is a shame that affiliates of that program don’t actually get any money. It seems a real bummer to me that you are doing all of this work, and keeping all of these comments going, when you will not get a dime for your efforts. All you can do is get more of their software. Not a very good deal if you ask me. I wonder why this program isn’t on Amazon any more as well? That would at least be real cash if you could sell it through Amazon, but as it is, … well.. you are doing nice work, hope you are getting some good game time out of your efforts. Just found your site like the others above! I’m creating my first world for DnD campaigns and map making is a bit difficult with all the things you have to consider all the times and on top of those be creative too! I wanted to say a very big thanks for all these really good maps!! I may use some and be inspired from the others! I´ve just started with CC3+ (really, I´ve bought it yesterday :D) and the only thing that cames to my mind is WOW! Thanks for your maps. Is there a way to export these to a website like Roll20, or would that just end up me recreating the map there? I haven’t used roll20 since beta, but I think you can just download the image here and then upload it to your account on roll20.